It is not unusual for drivers involved in accidents to receive traffic citations alleging one or more violations that can carry a fine and points, or in some cases jail. Sometimes officers cite both drivers if they did not witness the collision. Drivers can often receive a favorable result just by showing up in court. 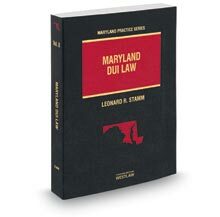 Contact Goldstein & Stamm, P.A. at 301-345-0122 for a free in person consultation.